I’m often asked about scrub planes, and why I don’t use them. The short answer is that I don’t find them necessary in my work because I can do everything a scrub plane is purported to do with my jack plane. The longer answer has to do with the method of working that I subscribe to, which I will discuss here in a moment. The simple fact of the matter is that if one were to ask a dozen woodworkers how to flatten the face of a rough sawn board using only hand tools, it’s very likely that they would receive a dozen different answers. There are almost as many opinions on how to perform this seemingly simple task as there are different types of hand planes for doing it. Of course none of the various methods are wrong, as long as they are performed safely and result in a board with a flat face. However, the method I have settled on over the years does not involve anything resembling a scrub plane. When I first started working wood with hand tools, I bought a scrub plane, because I had seen a video on preparing rough sawn lumber with hand planes, and in that video that’s what they used. Starting with the scrub plane was the common approach generally recommended on the internet as well (and the internet is always right), therefore, I thought that the scrub plane was necessary. So I went out and bought myself a metal scrub plane, sharpened it up and went to work on a piece of rough sawn lumber. When I finished “scrubbing” the face of the board, I was horrified at what I saw. The board had deep, narrow troughs and gouges all across it, and it certainly was no closer to being flat than when I started. Nonetheless, I forged on, switching to my handy #5 jack plane. I used the jack plane across and diagonal to the grain and the board began to look better. Soon, I had removed all the deep troughs left by the scrub plane and replaced them with shallow waves from the slightly cambered iron of the jack plane. Feeling more confident, I moved on to the try plane, planing diagonal to the grain and then with the grain, finally bringing the board face flat. I was so proud of myself that I flipped the board over and went at the other side with the scrub plane, and repeated the whole process until that face was flat. When I was finished, I was sweaty, but proud that I had dressed a rough sawn board. Unfortunately, I had taken a 4/4 board and turned it into a board that was just over 1/2″ thick! This experience made me seek out more information on the process. Soon after, I sold the scrub plane, and I haven’t looked back since. The problem was in the way I was using the scrub plane. I had planed the entire face of the board with the scrub plane before switching to the jack plane. The result was that I removed a lot of wood from areas that I shouldn’t have. Due to the short length of the scrub plane, I had created deep hollows in the face of the board, and therefore, I had to remove a lot of material with the jack plane to eliminate the deep hollows from the scrub plane and begin flattening the board. This of course resulted in a much thinner board and a lot of unnecessary work. I later learned that I should have identified the high spots with a straight edge and then only focused on these areas with the scrub plane, resulting in less hollowing of the board’s face. However, for me, it took an extraordinary amount of time to work this way. The continental European style scrub plane, like this contemporary version made by ECE, probably originated with the Dutch. My research on the historical practices of the craft led me to historical English texts, such as Joseph Moxon’s 17th century text Mechanik Exercises, or Peter Nicholson’s 1831 version, The Mechanic’s Companion. Interestingly, while both of these books document the tools and process used to dress rough sawn lumber with hand planes in great detail, neither of them mentions any tool resembling a scrub plane. It turns out that in the traditional English method of woodworking, the scrub plane simply didn’t exist. 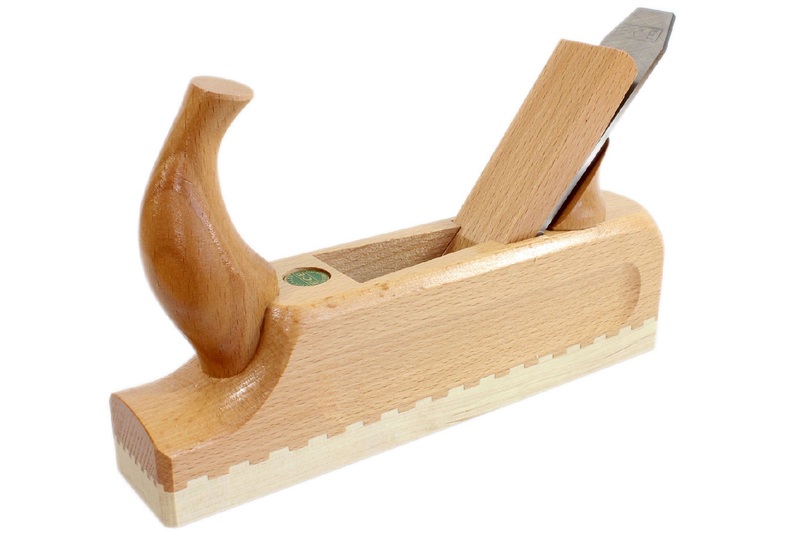 In the English tradition, the use of the fore plane avoids the problems that I experienced using the scrub plane. The fore plane is traditionally 15″ to 18″ long, allowing it to ride over the low spots and only cut the high spots. Using the fore plane requires much less frequent checking with a straight edge compared to the short soled scrub plane, which can dip into hollow areas and make them even more hollow. Using the fore plane, one simply needs to ensure that the face has no wind (twist) with a pair of winding sticks, and perhaps check a time or two for flatness along the length and across the width and diagonals. There’s no need to constantly check for high spots with this method. Additionally, with a moderately cambered iron, the fore plane leaves much shallower troughs than the scrub plane, which are easily removed with a few passes of the try plane. The fore plane’s length is one of its most important assets, and it’s secret to quickly bringing the face of a board to relative flatness. The fore or jack plane excels at quickly bringing the face of a board to a general state of flatness thanks to its length and moderately cambered iron. There are a lot of theories about the intended use of the scrub plane. 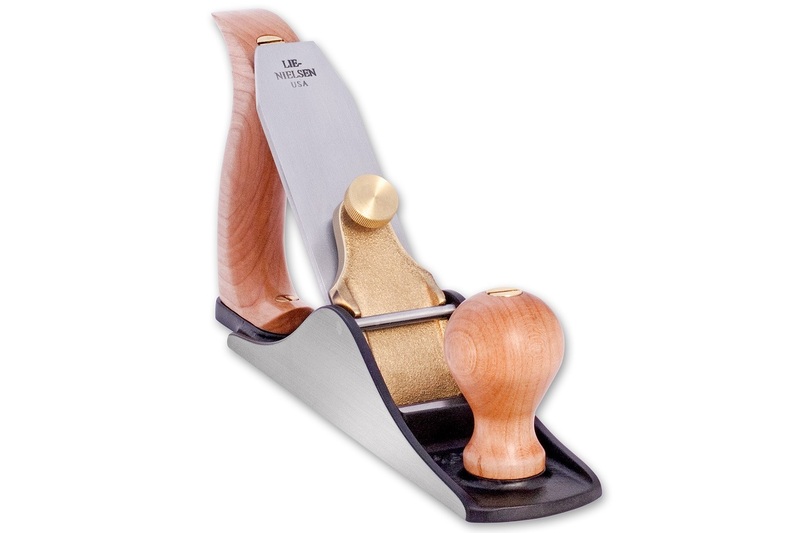 The modern scrub plane appears to be modeled after an older continental European plane commonly used to quickly remove a lot of stock from a board. My own experiments with the tool has led me to the conclusion that it’s not the best tool for flattening board faces using the methods that I have adopted in my work. 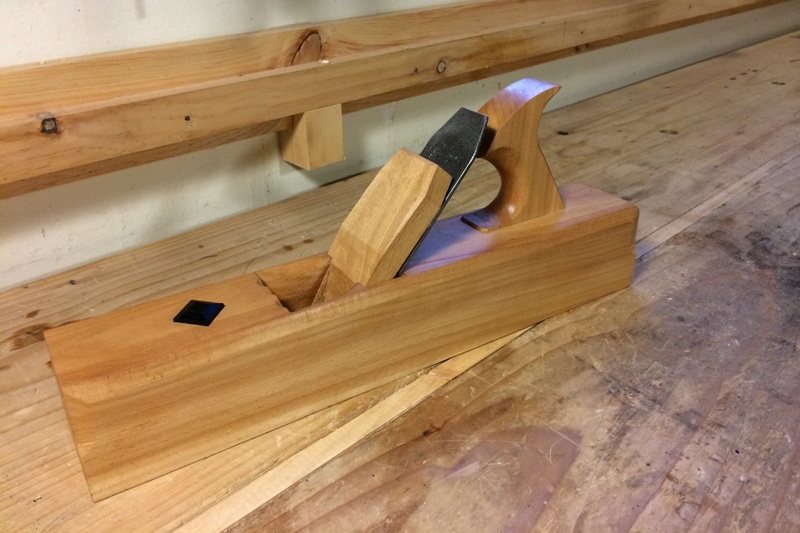 Many woodworkers do successfully use scrub planes in their work, however, so you shouldn’t necessarily write them off for your own use without trying them out for yourself. However, in my experience, there isn’t much that a scrub plane will do that a properly set up fore or jack plane won’t do better, so I’ve abandoned their use in my own work, and I’ve never been happier with the results. Posted in Hand Planes, Tools and tagged fore plane, jack plane, scrub plane. I was given a no name lightweight no 5 painted green. I cleaned it up and put a blade with a 8-9 inch radius and it became my “scrub” plane! It is actually serving as my thickness planer. When I need to plane rough boards, it gets used first. The fact that it is lighter than a regular Stanley no. 5 is a bonus in this situation as it is less tiring to use. Thanks for chiming in! I use about a 10″ radius on my jack plane. But being som much longer than a scrub, it does a much better job of flattening with much less frequent checking. For reference, I think my old scrub had a 6″ radius to the iron and a 8 or 9″ sole. I have a Scrub plane that is going to be sold. Like yourself, I thought I needed this plane. Used it once, and it took more time to clean up the gouges with the jack plane. I use the same approach you mentioned when flattening stock. I have absolutely no need for a Scrub plane. Great article. Never read much about these planes. I guess I know why. Thanks Scott! They seemed to be all the rage about 15 years or so ago. I just couldn’t get used to the way they need to be used with constant checking with a straight edge for high spots. I’d rather just let my jack plane find the high spots itself and ride over the low spots. I am not a huge fan of using a scrub to attempt to hit the high spots on anything other than split stock or green stock that’s still quite wet. A jack works well for those, like you said. But, I was recently given a whole bunch of really old cedar that had lived a previous lifetime as t&g for the inner walls of a sauna. It sat outside for a few years after that. In order to use the boards for my purpose I had to take off the t&g milled into the edges. I could have sawn it off and taken two days to do it, but I opted to use the scrub to rip that stuff off. It worked great and I directly followed with a jointer to straighten and square the edges. Each board only took a couple of minutes at between 4′ and 8′ long. So they do have uses that they excel at. Whether they’re uses anyone will run into is anybody’s guess, but I happened to find one!